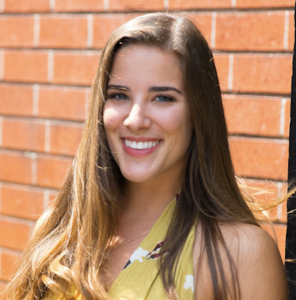 Today we will take a break from our normal short-term rental blog posts to introduce the TurnoverBnB blog author and Director of Marketing, Taylor Ricca. Taylor is from Northern California, Bay Area. She is currently studying Business Marketing at the University of Hawaii. Taylor previously studied hospitality at San Francisco State University. While attending SFSU, she learned the ins and outs of hotel operations. Studying hospitality created knowledge of coordinating turnovers and what makes a hospitable host. Taylor then went on to University of Hawaii at Manoa to study Business Marketing. She will learn a Bachelor’s degree in the Spring of 2018. At University of Hawaii Taylor has taken many marketing classes and is a member of the American Marketing Association. She has studied marketing core principles, consumer behavior, retailing management and marketing research, but is most interested in Digital Marketing. In her free time, Taylor likes to spend the majority of her time outdoors. Her hobbies are surfing, hiking, and yoga. She loves to travel to explore different locations and cultures and has used AirBnB and Homeaway many times on her excursions. Taylor’s ultimate goal from her degree is to work for a company that helps people. She feels proud to work for TurnoverBnB due to the company offering free software cleaning services that are meant to help hosts spend less time organizing their calendars and more time out enjoying life. She is also happy to be able to offer tips to vacation rental home hosts so that they can be better hosts and in turn offer a better experience.